The Key Man/Mr. 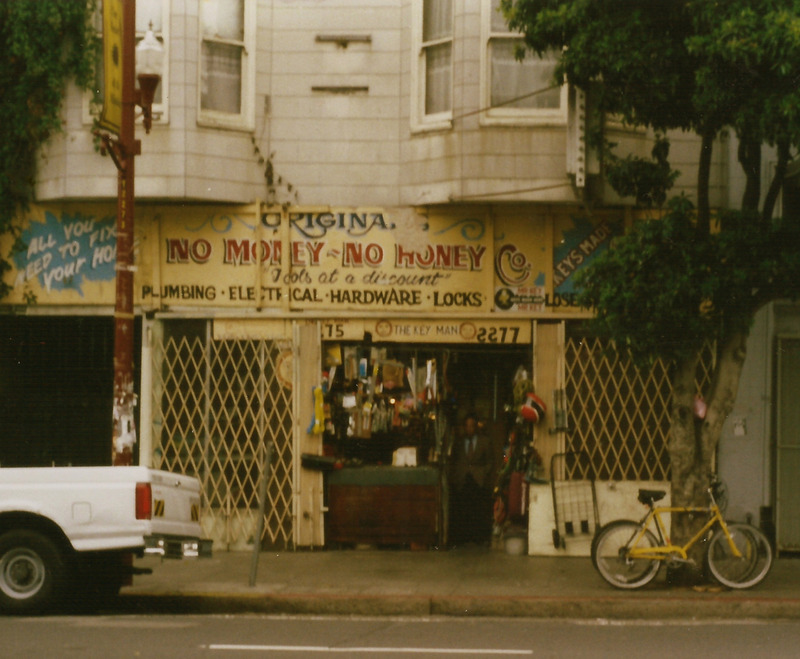 Key in front of his shop, Mission & 19th (2001). Mr Keyman was my father, Carlos Vela, he originally worked for one of the major newspapers in El Salvador. He also was also a successful Mission real estate agent, at one time. He was proud being a local entrepreneur and self employed. He had several different businesses, over different periods of time, all in the Mission. He was well known by the local latino community, in his time. He passed away in 2005. Is there a way I can get a copy of this photo?